The new year is finally here and we are excited to enjoy longer days and work towards our goals for the new year. Because the weather is a little bit on the cooler side here in Houston, we also tend to spend more time inside this time of year. Why not leverage this time to get our homes clean, organized, and the most efficient they have ever been? 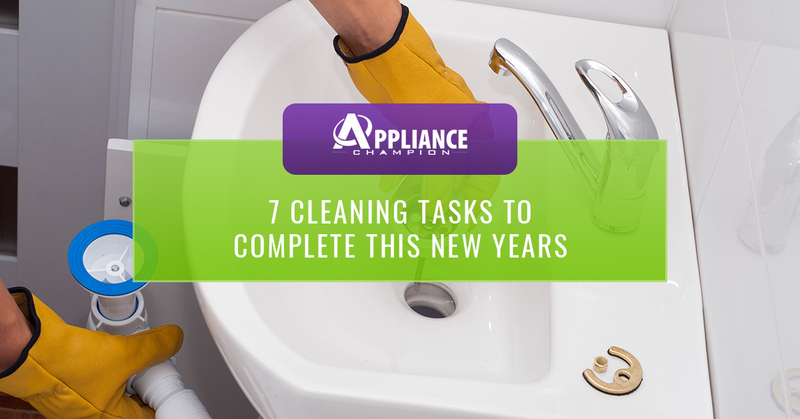 Today, on the Appliance Champion blog, we are going to give you seven New Year’s cleaning tips that can help you keep your appliances running reliably all year long. If you are in need of professional appliance repair services in Watauga and the Dallas-Fort Worth area, call Appliance Champion! 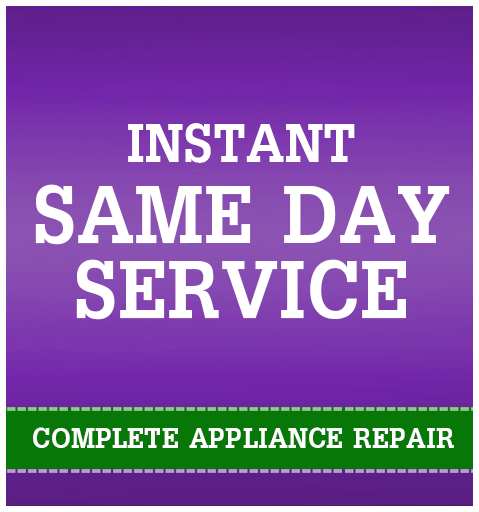 We offer five-star, certified, same-day services that will keep your warranty intact and your appliances humming away happily for years to come. Visit our website to learn more about us and to schedule an appointment. It’s easy to get focused on goals such as losing weight, but what about the dead weight that you have around your home? Clear out the dust, gunk, and grime around your home and care for your appliances. While you are possibly organizing other areas of your home, consider getting all paperwork associated with your appliances in order. Warranties and product manuals can seem like extra clutter. However, it is important that you keep these papers and booklets so that the next time your appliance goes out, you won’t get stuck footing the bill. We suggest placing them in a filing cabinet, near your cookbooks, or a place that works for you that is easy to find and easily accessible. Most of your appliances won’t have loose knobs, pulls, or hinges. However, for those that do, it’s time to tighten those up. Usually, they can be adjusted by simply using a screwdriver and tightening a screw. However, if this doesn’t work, ask a repair tech to do it for you. While you’re at it, tighten all knobs, pulls, and hinges around the house, and oil squeaky hinges. It’s also a great time of year to clean your appliances. Cleaning them out will not only make them more effective, but they will also be more pleasant to use. Clear the filters of your dishwasher, washer, and trash compactor. Wipe out your fridge, microwave, and washer, and remove lint from your dryer. Be sure to follow all cleaning recommendations specified by the appliance manufacturer. Nothing may be more nasty than a dirty sink trap. Not only can it clog the sink, but it can make the drain run slow enough that more dirt and grime accumulates in the sink — which means you have to clean your sink more often. Though it can seem unpleasant, the end result of cleaning out your sink traps will be satisfying. Grab a bucket and get started! Consider cleaning out shower drains as well! It’s easy to overlook the floor as we walk across it to get from place to place. However, it also needs cleaning and love and care to not only look it’s best but also last a long time. Take this time while you’re cleaning the rest of your home to deep clean grout, caulk, and wood flooring. Your entire home will sparkle and look it’s very best when you clean in all the nooks and crannies of your home. We also suggest working out a cleaning and maintenance schedule. It’s easy to let things fall through the cracks when it isn’t a regular part of our lives. Set up a regular schedule to keep your home clean and your appliances humming along happily: write the schedule on your calendar or put it in your phone with reminders. Having a clean home that you will enjoy all year long is possible with just a little bit of organization. After you’ve put in the elbow grease to get your home clean and sparkling, it is time to enjoy it. It’s easy to move onto the next project. However, we suggest spending a day at home relaxing or an evening cuddled up on the couch taking in the full satisfaction of a clean, organized, and maintained home. You may decide that you want to spend more time at home once it’s cleaned and organized! If you are in need of appliance repair in Watauga or anywhere in the Dallas-Fort Worth area, do not hesitate to call Appliance Champion! We would love to help you get ready for the new year with appliances that are reliable and running at their best. Visit our website and call us today!